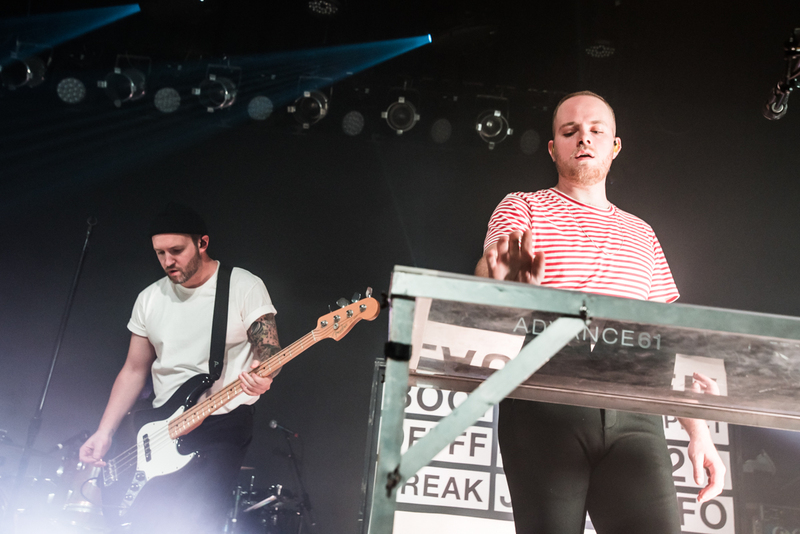 The third stop on a month long tour of the US see California’s Sir Sly and New York’s Joywave fill out Warsaw in Brooklyn. Both regulars of the US touring circuit and members of the Coachella club, Warsaw seems like quite the exclusive venue to catch these guys, nobody was complaining though. They could have easily filled a larger venue, especially just considering the energy levels of both front men. 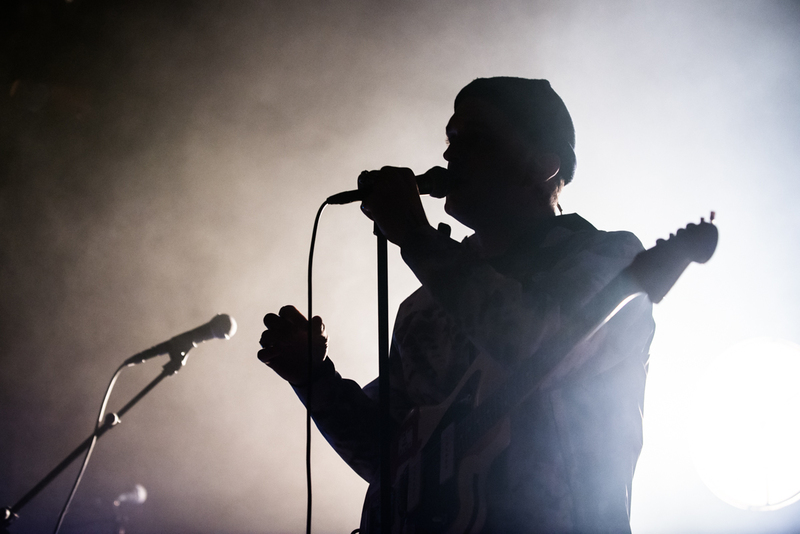 First up were Californians Sir Sly on the back of their second album Don’t you worry, Honey. Landon Jacobs bounced out and immediately had the audience following along. Shrouded in backlight from an impressive industrial lights setup, Jacobs, Jason Suwito and Hayden Coplen structured their set to increase in both lighting and energy as the night progressed. Jacobs took a chance towards the end of the set to have a heart to heart speech with the audience. Its quite moving to hear the hard times he was going through while making their second album. After losing his mother to brain cancer and going through a divorce, Jacobs was not in a good place. But thanks to Suwito, Coplen and the outlet of creating music he was able to get back on track. This is also the reasoning behind playing in front of a giant illuminated brain. This heartfelt and courageous confession lead into the more ballad number “Oh Mama” before closing with crowd favourites “High” and “&Run”. 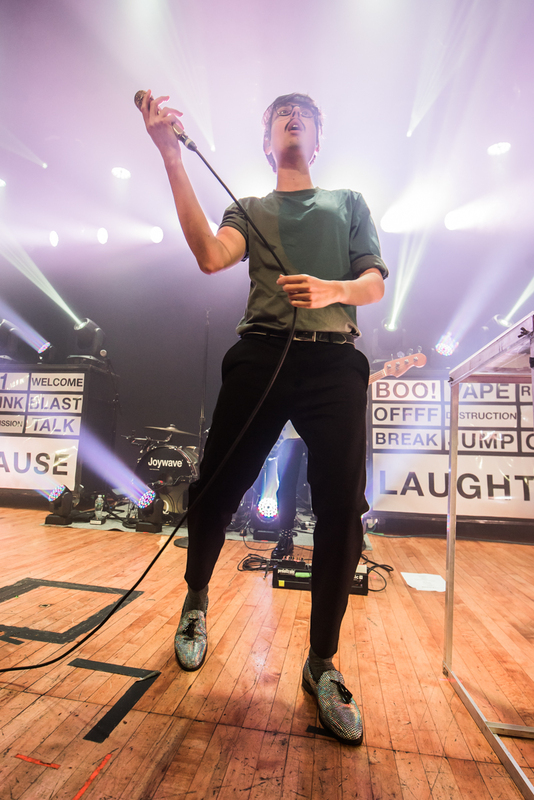 Closing out the night were New York locals Joywave. 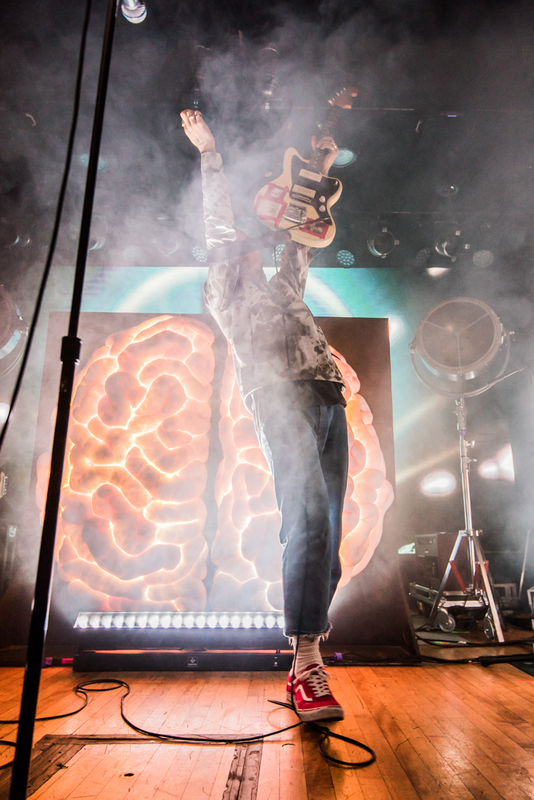 In what seemed like a millisecond after the house music lowered frontman Daniel Armbruster and the band appeared in position on stage ready to go. Armbruster pacing around staring off into the distance like he was performing specifically for someone in the very back row. 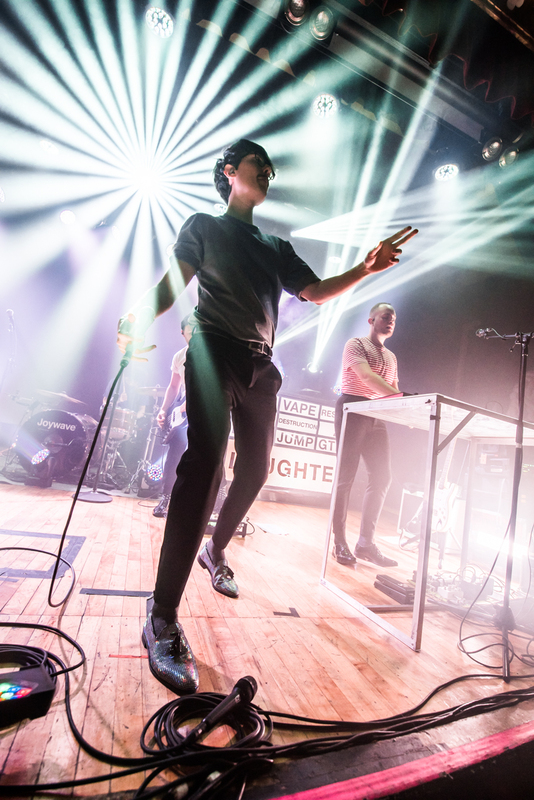 As a contrast to Sir Sly, Joywave aimed for all of the lights all of the time but in addition two large cue card light boxes adorned the stage lighting up instructions for the audience such as welcome, applause, drink and intermission. Being locals Armbruster revealed that they would have played thirty odd New York shows ranging from a tiny pub, right up to Madison Square Gardens and jesting that Warsaw was a usual side step venue between MSG shows. Mixing their set with a nice combination from both of their albums and some additional projects, they closed with probably the two most danceable numbers from their debut, “Destruction” and “Tongues” leaving everyone on a high. Remaining shows on the tour.